No place is quite like Northwest Florida’s Emerald Coast. Our sugar sand beaches are as white as they come and the water couldn’t be clearer. 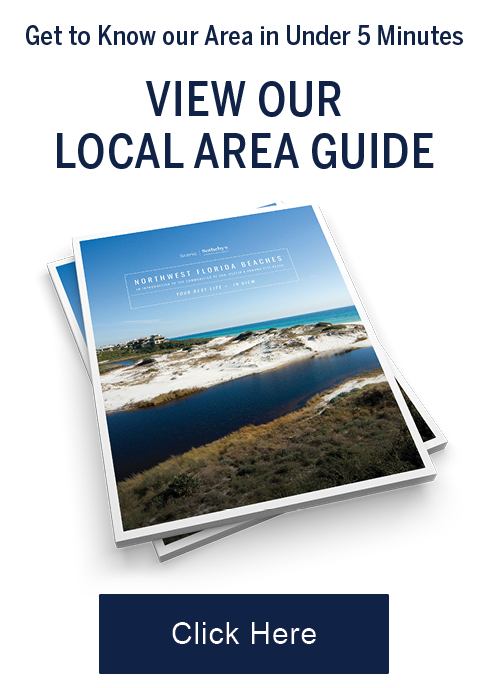 There are plenty of natural wonders to enjoy, from the Destin Harbor to the rare coastal dune lakes along Scenic Highway 30A and state forest sanctuaries. Our group of real estate professionals has expertly provided superior service to clients since 1998 and is ready to share it with you. We hope our site will serve as a regular resource for you and lead you to your dreams on the beach! Scenic Sotheby's International Realty, proud member of the Sotheby's International Realty® luxury real estate network.